Walking along the beach at Sant Pol de Mar near Barcelona I spotted these beautiful bougainvilleas hanging from a white balcony right in front of the sea. Don't forget to check my previous posts about flowers. 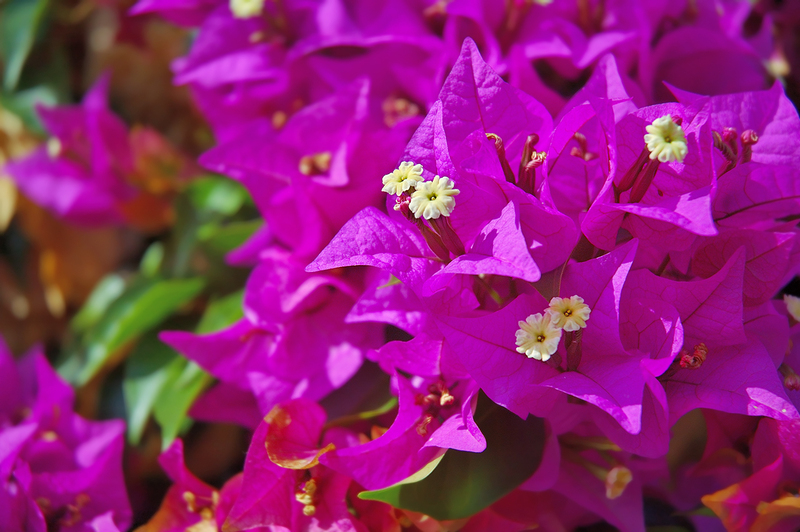 Great picture of bougainvilleas. It really captures the way they cover parts of gardens with colour. Nice details and the depth of field works just great. The colour is really lush! The white flowers are very delicate against the purple. Wow, very nice colours and sharpness. Aaawww I love this photo! Reminds me of those we have back home - fiery red, blazing pink and luscious orange! Thanks for visiting Norwich Daily Photo. May I invite you to visit my other blog Your Love Coach? Thanks everyone! Of course I will check your site.